Hirschman (2002 ). However, unlike Hirschman, the concept is framed in class terms. A model is presented where income distribution is determined by the involvement of the two classes, capitalists and workers. Higher involvement by capitalists and lower involvement by workers tends to increase the profit share and vice versa. In turn, shifts in involvements are induced by the potential effect of a change in distribution on economic activity and past levels of distribution. On the other hand, as the profit share increases, the economy tends to become more wage led. The dynamics of the resulting model are interesting. 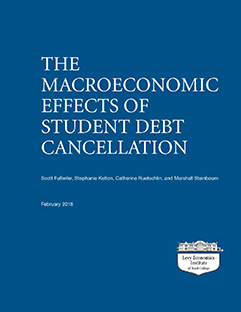 The more the two classes prioritize the increase of their income share over economic activity, the more possible it is that the economy is unstable. Under the stable configuration, the most likely outcome is Polanyian predator-prey cycles, which can explain some interesting historical episodes during the 20th century. Finally, the paper discusses the possibility of conflict and cooperation within each of the distribution-led regimes. 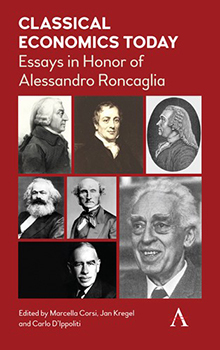 Edited by Marcella Corsi, Sapienza University of Rome, Levy Institute Director of Research Jan Kregel, and Carlo D’Ippoliti, Sapienza University of Rome, this new collection of 16 essays is dedicated to Alessandro Roncaglia and deals with the themes that “have characterized his work or represent expressions of his personality, his interests and method," particularly his contributions to the interpretation of classical political economists as a means for informing present-day policy. 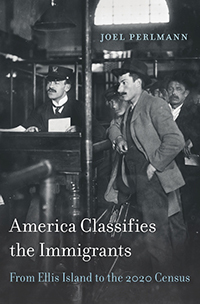 In America Classifies the Immigrants: From Ellis Island to the 2020 Census (Harvard University Press, 2018), Senior Scholar Joel Perlmann traces the evolution of thinking about “race” and “ethnic groups” in America. Beginning with the 1897 “List of Races and Peoples” through the proposed 2020 changes for the US Census, Perlmann examines the shifting ideas about racial and national differences that shape our social and legal policies.